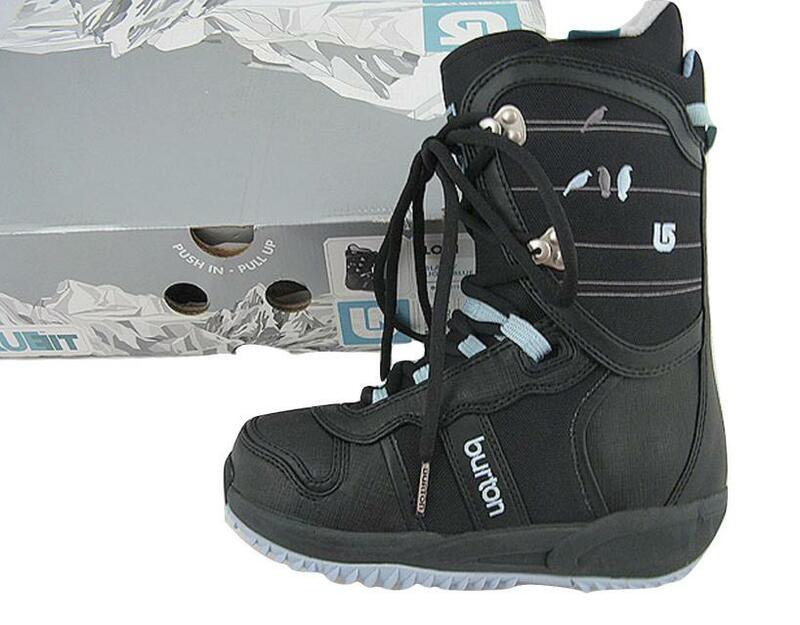 With sumptuous style and seventh-heaven comfort like your favorite puffy skate shoes, the Burton Lodi Women’s Snowboard Boot delivers first-class performance that won’t kill your cash flow. 2:1 Power Lacing combines with an articulating cuff to wrap your entire foot with a smooth flex and fluid support. Add the comfortable NEW custom moldable Imprint™ 2 True Fit™ liner and you’ve got ’s Burton Lodi Women’s Snowboard Boot, crushing competition like none other for the money. NEW Imprint 2 Liner with True Fit Construction, Hot Pockets, Power Panel 1.0™ Technology and Quick Fit Lacing Harness — Developed exclusively for riding, Burton’s EVA footbeds enhance arch support, improve response, and absorb shock. Imprint liners feature vamped up footbeds with Outlast for improved climate control, and an ESS Arch Support Shank that both reduces fatigue and prevents your arch from collapsing when you bomb drop that downtown parking garage. Articulating Cuff — Allows both the upper and lower halves of the boot to flex independently, minimizing shell distortion, and thus maximizing heel hold and response. You get the best of both worlds : rapid-fire response and the freedom to get your twea-twea-tweak on. Power Spine 1.0™ Backstay and Thin Profile 3D® Molded Tongue — Adjusting the profile of the tongue’s thickness enhances its ability to wrap the forefoot and reduces shell/liner stack:up, thus improving comfort and eliminating performance-robbing bulk. 2:1 Power Lacing EVA Cushioning ; Molded EVA Footbed. SIZE: US Womens 5, UK 3, Mondo 22, Euro 35.